The co-founder and director of AlphaBeta Strategy & Economics, Andrew Charlton is a highly respected and internationally renowned economist who has served in a number of vital senior government positions. Charlton’s foresight regarding the influence of future economic trends has proved to be invaluable in a number of circumstances, and he has published several essays and books outlining his predictive analyses and economic philosophies, including Ozonomics and Fair Trade for All, with the latter of the two being published in 13 languages and co-authored by Joseph Stiglitz, a Nobel laureate. A Rhodes Scholar, Charlton earned a master’s degree along with a doctoral degree in economics from Oxford University, where he enjoyed studying international economics, trade and development. It is these particular economic interests that have guided many of his professional career choices since the completion of his academic work at Oxford. His keen economic insight and international expertise has made him a highly sought-after economist, and during the peak of the worldwide financial crisis he was selected to serve in the position of senior economic advisor to the Prime Minister of Australia, Kevin Rudd. Charlton also has a great deal of experience outside of government work as well, having previous experience with businesses and international institutions while serving in roles focusing on corporate and operational strategy. 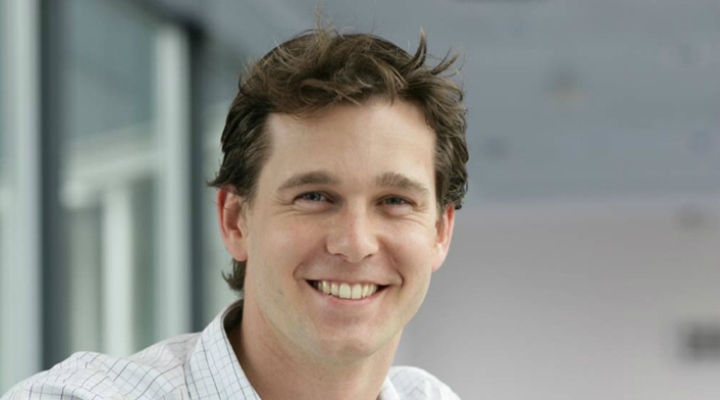 In addition to his many exceptional professional achievements, Andrew Charlton was recognized by the World Economic Forum as a Young Global Leader in 2011. As the co-founder and director of AlphaBeta, Charlton’s expertise is now being utilized for the benefit of clients seeking strategic advice or economic consultancy. How did you get started? What inspired you to start this business? I felt that my understanding of varied economic issues — combined with the expertise of my co-founder and our team of professionals — would benefit clients across any number of industries. We feel quite strongly that independent and accurate economic analysis and independent strategic advice would be valuable. We own proprietary data which we leverage to provide advice that allows our clients to profit from existing and future market conditions and we consult on a number of subjects that include economic modeling and forecasting, policy development and analysis, natural resources management, business strategy and transaction evaluation. Our business has relatively low fixed costs and we were lucky with some early success which got the business off to a strong start. No. I always felt that if we assembled an exceptional team of professionals and maintained the quality of our work, then we would ultimately find a market. My Co-founder and I were lucky to have existing relationships which supported us in the early stages. We generate a lot of business based on our reputation, but by continuing to publish essays and articles in international journals we have been able to generate new interest in our services as well. We have to constantly make tough decisions about our forecasts. We have had a strong negative view on China for the last five years which was well out of consensus at the time. We stuck with that view recently, despite a lot of people going the other way. I have always gravitated to subjects relating to economics and truly enjoy conducting research and developing analytical models, so I would venture that my success is merely a product of a decision to pursue a career in a field I so thoroughly enjoy. There have been many, but I felt a great deal of pride in contributing, in a small way, to Australia’s success during the global financial crisis through the work of our team in the Prime Minister’s office. While I have served in several corporate positions throughout my career, much of my experience has been in government work. I am excited by the prospect of working with professionals from diverse industries and demonstrating the universality of certain economic principles. Is there anything about your field of expertise that you would like to see change? In terms of a larger scale, I would like to see more people take an interest in the thoughtful study of economics and to develop an understanding of just how much the success or failure of a business is determined by market factors.